If you have been active YOUTUBE user since last year or so, you might have stumbled upon Casey Neistat’s YouTube channel. He became active on youtube for the purpose to gather audience to promote his app. When he started vlogging he had 150k subscribers and as of now he has 2.9M with highest active users to subscribers ratio. Vlogging Guru casey who have been rocking youtube since a year and month launched his social networking app last summer for iPhone. We all know that most of apps and games target USA audience and in US , ratio of iOS users to android users is higher. That’s the reason most of apps and games gets released on iOS’s “App Store” and then on android’s Google Play Store. Beme was no exception. “YouTuber of the year (2015)” award winner casey neistat wants users to share on social media what user actually is seeing and experiencing. Beme is similar concept to snapchat, but instead of having “unrealistic” filters, editing of images, and artificial sharing of media Beme automatically shares right after you record , so no editing NOTHING. Another thing i like about BEME (unlike snapchat) is that you actually are experiencing the real world alongside sharing that experience with world. Suppose you goes to concert and obviously you want your friends/family to let them experience it for a while in form of video, so in concert you bring out your phone open snapchat, hold down shutter button and look at phone’s screen and check if focus is right or not. You will watch into screen till record finishes. So you actually did miss the “Real world” enjoyment for 10 sec. That will not be the case for BEME. Cause it uses proximity sensor (same used when you’re in call) which turns screen off while you’re recording. So you open beme, hold your phone to either chest/forehead/just use hand to cover sensor, and boooom it starts recording after a beep voice. Then to stop recording you just need to look at the screen or unblock the sensor. Video will automatically be uploaded and shared to world. Here is what intro of app looks like. Just try it out, and let us know your opinions in comments below. Play store link for OFFICIAL BEME. 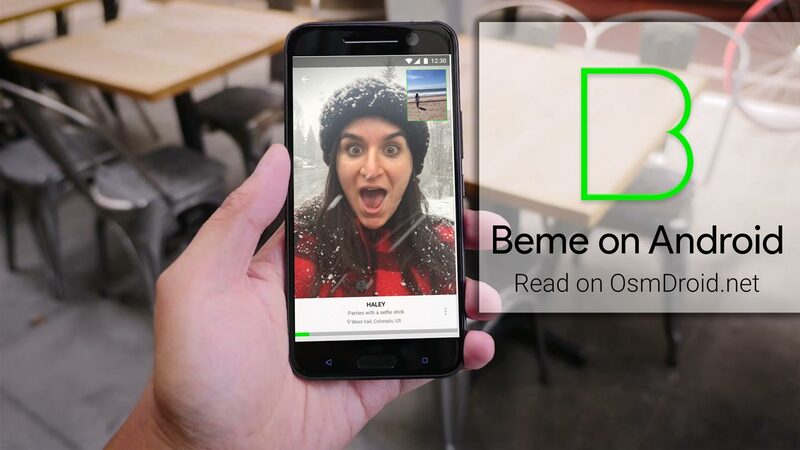 Share the post "Official Beme goes live on Google Play Store for android !"